Smooth black plastic with silver swivel hook. Notches for garment loops & straps. 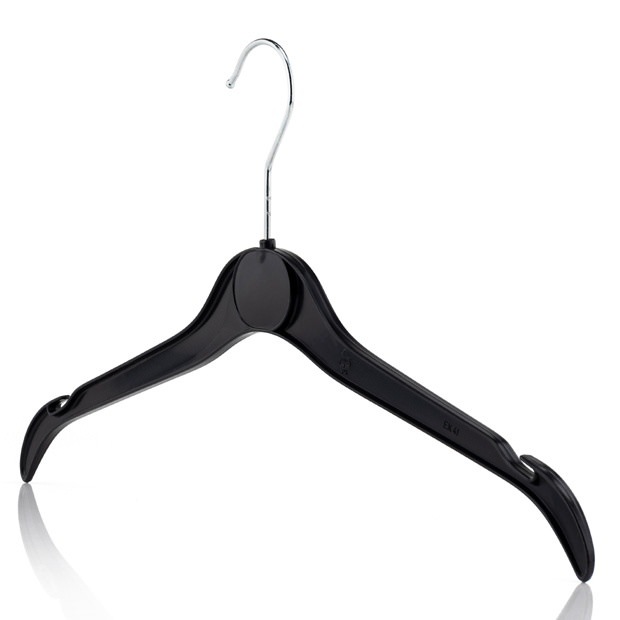 Versatile clothes hanger for tops, t-shirts, shirts, blouses, skirts, dresses etc. Ideal size for ladies & teenagers clothing. Size: Width 41cm (16") approx. Size: Width 41cm (16in) approx.